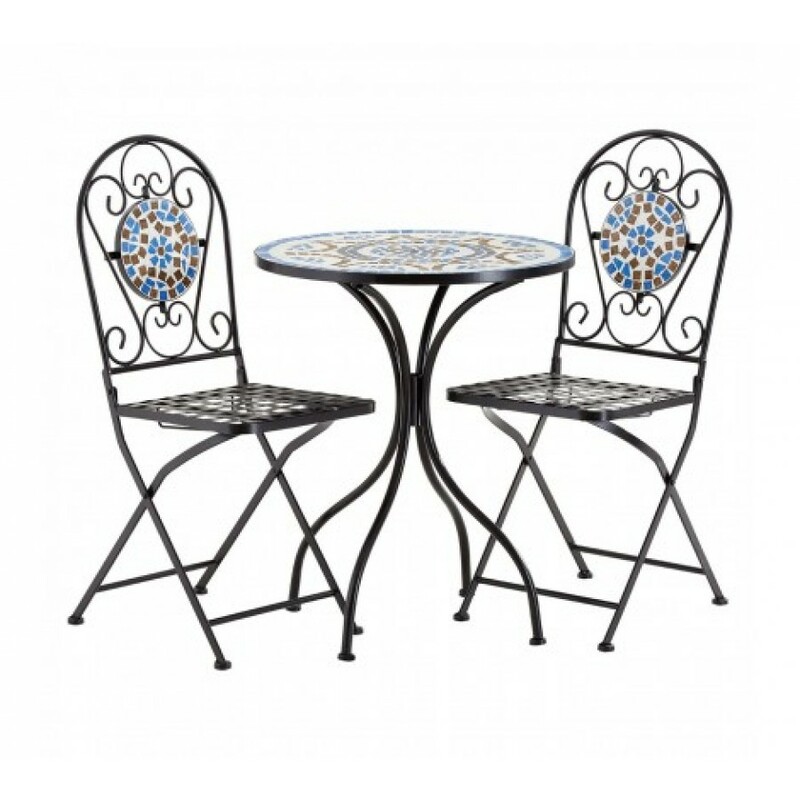 The Amalfi table and chairs set is a colourful way to enjoy garden and patio dining. Both table and chairs display corresponding ceramic mosaic inlays, their brown, blue and white tones evoking sunny and warm coastlines. The frame of each folding chair and the table is made from strong wrought iron, their scrolled metalwork adding an extra decorative touch.